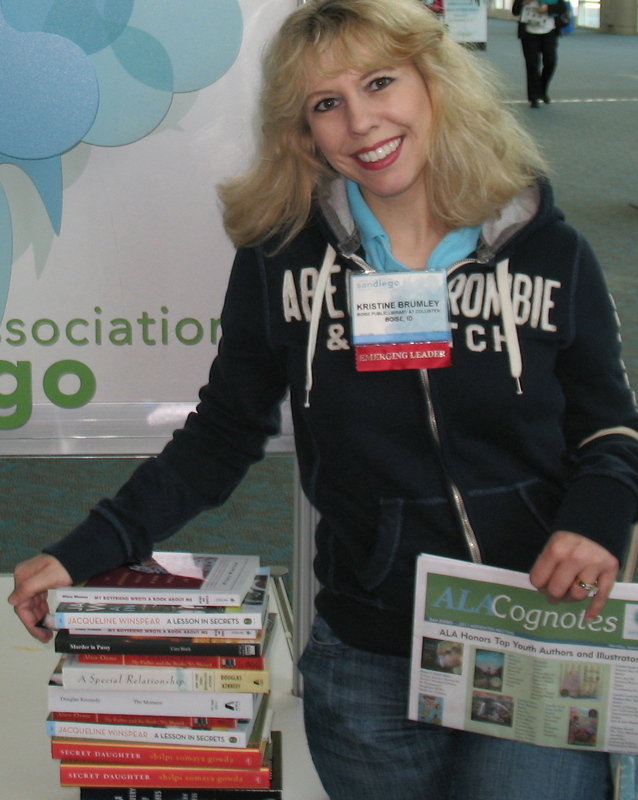 I am a digital librarian. I did not begin my tenure in the library professiong thinking of myself as such, but through my work, my research, and my reading, I have adjusted my thinking about the nature of librarianship to include the expansive possibilities that “digital” offers. Somewhat to my surprise, I find that this adjustment, this addition of the “digital,” does not so much as shift the nature of librarianship – or move it away from its core, traditional values of access and preservation – as expand the responsibilities and responses of the vocation to accommodate the increased access and preservation needs that our transitional period of history, the so-called “Digital Era,” demands. Like most digital library positions, my position exists in the interstices of the library: My domain is metadata but not the catalog, reference questions but not the desk. This “in-between-ness,” the interstitial nature of digital librarianship, is proper to my position given that the backbone of my work, digitization, is a process that occurs in that transitional (and transformative) space in-between the complex and the simple, traditionally, and, more recently, in-between the physical and the virtual. For digitization, as I see it, is not new. Rather, I define digitization as a process that makes the complex object simpler by breaking it into bits in order that it might be re-aggregated into new, more malleable media. Consequently, I believe digitization “is not merely a phenomenon of the current age, but an active force throughout technological history,” one whose technological progeny include telegraphs, typewriters, radios, televisions, and even letterpress printing, and whose current best expression is that most powerful of digitizers, the computer (Kirschenbaum 134). This definition of digitization is important to my conception of digital librarianship because if digitization, as I claim, is not new, then neither does the position of digital librarian represent the sea-change many want to claim it does, as the products ‘digitization’ produces – anything from books to databases – include materials that librarians have dealt with for centuries. This is not to say that the computational model of digitization has not drastically changed librarianship in the past few decades. It has. The change, however, is not so much a paradigm shift as it is an expansion. As Stephen Ramsey explains, “The computer revolutionizes, not because it proposes an alternative to the basic hermeneutical procedure, but because it reimagines that procedure at new scales, with new speeds, and among new sets of conditions” (31). That is, the new scales and speeds computation has wrought on society do not change what digitization is or does, but computation does so increase the scale and speed at which digitization can be done that new ways and means of working with digitization and its products must be imagined. So, to my mind, digital librarianship is a re-imagination of librarianship, one that does not propose alternatives to the traditional values of librarianship – Access and Preservation – so much as re-envision new ways of honoring those values by providing expanded modes of access online and by assisting both libraries and individual patrons with the daunting task of preserving their virtual records, research, and writings. But while I conduct my own work as a digital librarian believing that what I do is strongly connected with the traditions of librarianship, I also feel an increased urgency and dedication to the expansion of that tradition because I believe we live in a transitional era, one whose participants need and desire more and better access to primary, historical resources and whose digital materials need more care and thought given to their preservation. Accordingly, I develop digital collections and their online portals with a user’s access foremost in mind and strive to make these portals as inviting and browseable for the general user as they are detailed and searchable for the researcher. My websites’ designs are expressions of my belief that access should be unfettered and intuitive as I design them so that their contents are available through several different expressions – be that via a map, a timeline, or a subject-based tag cloud – and so that the items, their metadata, and the collection’s contextual information are available to users in much the same way the physical folders of documents or photographs that hold the original items are available in our Special Collections & Archives department. In terms of preservation, I believe librarians have a duty to educate their patrons about the ways and means by which they can best obtain, save, organize, and archive their own digital files and data. I did not enter my job holding believing this as firmly as I do now. Through my research, I gained a better understanding of how (and how poorly) people interact with their digital files and have, due to the insights I gained doing so, designed presentations and tutorials on how to collect, clean, and visualize both one’s own data – i.e. that data collected about one via their smart phone – and other publicly available data of importance such as that released by Wikileaks. Similarly, because I witnessed, when I first began my position, how essentially useless a poorly maintained digital archive is, I now spend a great deal of time establishing standards and procedures for preserving the library’s digital content so that it might be accessed and used by future generations. So through both my research and my work, I have witnessed firsthand the need and urgency for increased digital preservation work and education in the library, which has in turn even more firmly centralized the principles of digital preservation in my own work. The double bind and opportunity of digital librarianship is that it must deal simultaneously with both the macro and the micro, uncovering both the emergent patterns of the everyday and the exceptional objects that accumulate into these patterns. As such, the digital librarian’s mode must be that of re-discovery, of uncovering that which has been here all along but which has been missed, forgotten, or at a scale too large or small for us to see. I count myself lucky in that I am called upon, as a digital librarian, to create new ways for users to see and find this re-discovered material. I find this work extremely satisfying because I believe it to be important not only for the Library and University but also for the State of Idaho and the Northwest generally. I believe this because I feel the digitization that these exceptional objects undergo and the online access we provide to them allows all those interested in Idaho and our University, be they in Moscow or Pocatello, Seattle or Helena, the ability to uncover for themselves those objects and patterns that make our institution, our library, and our collections unique and important to the larger histories and ideas that scholarship, both digital and otherwise, produces. Ramsay, Stephen. Reading Machines: Toward an Algorithmic Criticism. Urbana: University of Illinois Press, 2011. My definition is not my own, but is itself based on a definition digital humanist Matthew Kirschenbaum adopts from Humanities researcher Morris Eaves. * Identify new services and opportunities that would benefit the community. In 2010, ORC launched a new address-based sampling (ABS) and data collection methodology, CDP SamplingTM. In the 1999 study, a random-digit dialing (RDD) telephone survey was used to contact all survey respondents. Recent research has identified coverage problems with the RDD telephone approach as more and more households move to cell phone-only or cell phone-primary households. This is particularly true of the harder-to-reach, younger segments of the population, as well as those living in multi-unit dwelling types or who are renters. Mail surveys often generated low and non-representative response rates. Telephone contacts are often made to increase response rates, but these calls are only made to households with listed landline telephone numbers. 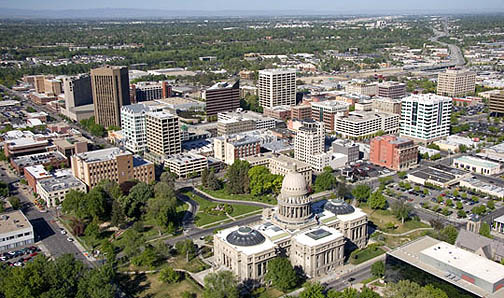 Address-based sampling is based on a random sample of households in Boise City and the Boise City Area of Impact from the U.S. Postal Service Delivery Sequence File (DSF). This file encompasses nearly all U.S. households and is updated regularly. Addresses from that list were matched against key databases to provide telephone numbers where possible. If a phone number was appended, that household was then contacted by phone to complete the interview. If no telephone number was available, a letter was mailed to the address asking the respondent to complete the survey online or by calling into a toll-free number. The end result was a total of 1,156 surveys being completed: 778 by phone and 378 online. The majority (n = 893) surveys were completed by library users; the balance (n = 263) were completed with library non-users. More information is provided in the Sampling and Data Collection and Demographic Profiles and Weighting sections. Overall, residents of Boise feel that the public library is very important to the community. They feel that the most important services are traditional library services—such as the lending of books, providing research materials, and educational classes for youth. * On average, past-12-month users of a public library in Boise rate these services as more important than non-users. Residents between 18 and 34 years of age generally give the highest importance ratings for most library services. Just over three out of four (77%) adult residents claim to have used a Boise City public library in the past year—a significant increase from 1999 when fewer than two out of three (64%) adult residents had visited the library. Half (50%) of all library users expect their use of the library to increase over the next five years. Basic services include borrowing books, DVDs, CD’s or eBooks, renewing or viewing information online, linking to the library remotely, and having materials mailed or delivered. * Nearly all (93%) library users have used the library for one of these services in the past year. * Nine out of ten (89%) borrow books, DVDs or CD’s. This category includes accessing a library computer, using the library for computer or technology tutoring, gathering information for personal use or school work, and using the library as a resource for finding jobs. * Three out of four (74%) library users have used the library for at least one of these services in the past year. * Nearly three out of ten (28%) library users received one-on-one tutoring on computer skills or technology. One in five (19%) have used the library to help find a job or for work-related purposes. This includes going to the library for enjoyment or attending activities, meeting for non-library functions, and participating in activities for children, teens, and adults. * Two out of three (67%) library users have used the library for at least one of these services in the past year. * Almost one in four (23%) have attended a children’s program or activity. Attendance of children’s programs is particularly high for multi-lingual families (39%) and stay-at-home moms (66%). Those who have used the library in the past year are quite satisfied—top-two box satisfaction of 91 percent— with Boise’s libraries, up significantly from 1999 when the top-two box satisfaction rating was 85 percent. Three out of four users (76%) are extremely likely to recommend the library to others and additional 17 percent are somewhat likely to recommend—top-two box of 93 percent. Again this compares favorably to 1999 when 89 percent of library users said they would recommend the library to others. * Responsiveness of staff. Nearly all (97%) users rate this as good (25%) or excellent (72%). * Staff Assistance with Research Questions. Ninety-five percent (95%) of users rate this as good (25%) or excellent (71%). * Activities for Kids. Over nine out of ten (94%) rate activities for children as good (33%) or excellent (61%). * Increase the number of publicly available computers. At 73 percent top-two box satisfaction, this received the lowest overall satisfaction score of all services. Access to computers is particulary important to younger users (18-34 years). * Increase the hours of service. This received the second lowest satisfaction score (77%), and the highest level of interest among “possible” library services. * Identify opportunities at Main Library and Hillcrest: The Main Library and the Library! at Hillcrest received significantly lower ratings than the other libraries on overall quality (83% and 85%, respectively) and on quality of facilities ( 73% and 79%). * Better address the needs of multi-lingual households. Only two out of five multi-lingual households (41%) are extremely satisfied with their primary library, and 12 percent are neutral compared to 60 percent of English-only households being extremely satisfied and only 5 percent neutral. Both users and non-users were most interested in existing library services and in online payment of fines and fees. Both groups are also interested in classes and continuing education, and in educational/art exhibits. * More likely to be over 44 years old (56% vs. 46%). Three out of four (75%) non-users have used a public library in Boise at some point in the past. The primary reasons that non-users give for not visiting a public library in the past year are that they had no real need or interest (37%), they use another library (15%), or they use the Internet (14%). Nearly three-quarters (73%) use online sources (free or retail) for finding books, music, movies, or information. When asked to indicate their interest toward library services, non-users are fairly neutral. However, five of the top seven services are already offered by Boise Public Libraries. Non-users were also asked what can be done to encourage them to become users. The top actions are to get more / better / newer materials (20%) and to advertise or promote library services (18%). This, combined with the finding that the library already offers services that would are of interest to non-users suggests that most non-users simply may not be aware of all of the services that the library has to offer and that the most effective way to convert them into users is to build awareness of these services.